Moving is one of the most difficult things you’ll ever do. It rarely goes exactly how you planned, which can be devastating. Packing boxes, coordinating a moving truck, and getting out of your current location on time is enough to stress anyone out! If you don’t want your next move to cause you to pull out your hair, you absolutely have to hire a professional team of Mission Viejo movers. The question is, what exactly should you look for when hiring the right crew? Sure, a professional moving company should be able to get you to your new location, but what other services should a quality mover offer? You don’t want to get stuck with a company that doesn’t have experience and resources for your move, be it local or long distance. The right movers in Mission Viejo can easily do both. A moving company that is locally owned and operated, plus has the professional affiliation of the American Moving and Storage Association and is a long-time interstate agent of a national van line. A company like Coast Valley Moving & Storage that has a partnership with a worldwide moving company like Wheaton World Wide Moving can offer you the best of both worlds. Of course, you should look for a company that offers commercial and residential services, depending on your needs, but you should also be looking for one that specializes in storage solutions. 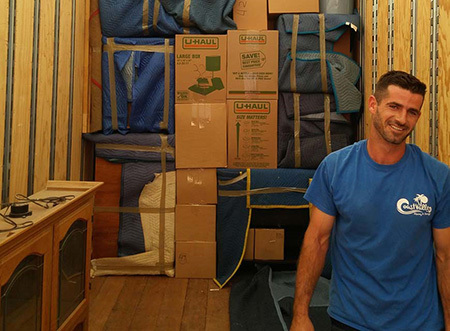 A Mission Viejo moving and storage company that does both can make your moving experience go much more smoothly. Whether you’re storing office furniture or you can’t move some of your personal belongings to your new location right away, a moving company that offers storage options can prevent headaches down the road. The best moving companies provide free estimates too! If you’re looking for professional movers with the right resources and expertise, give us a call. Whether you need residential moving services for your household or commercial relocation solutions for your office move, we can help you move throughout Viejo and the surrounding areas.